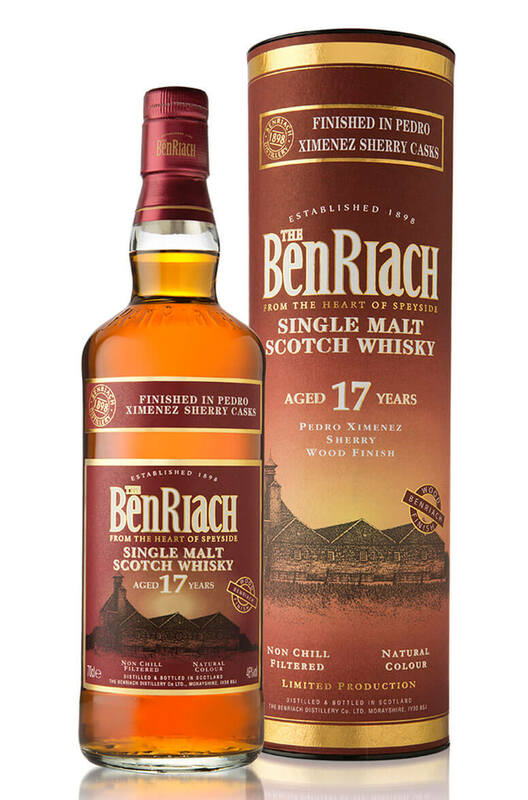 A rich and flavour packed expression of Benriach that has been finished in Pedro Ximenez sweet sherry barrels. Aromas (with water) Creamy spices, chocolate and sugar-coated almonds flow over sweet sultanas and dark fruit cake. Flavour Dark chocolate and freshly ground coffee beans merge with sweet dates and fresh figs. Delightful, peppery, vintage oak and warm cigar box spices add to the long, contrasting finish. Types of Barrel used for Aging Initially aged in ex-bourbon barrels then finished in Pedro Ximenez sweet sherry casks. A superb 21 year old expression of Benriach. This was initially matured in refill American oak barre..